These XLR to dual RCA Y Splitter Cables have a variety of uses. Connect line outputs from mixing consoles, microphones, to recorders and amplifiers, connect DJ controllers to amplifiers, convert an XLR cable into a long RCA cable, even integrate home theater equipment with your Pro Audio gear...Anywhere you need to adapt from an XLR to RCA connection. This Y splitter cable produces high quality sound without unwanted noise. This is an unbalanced cable. 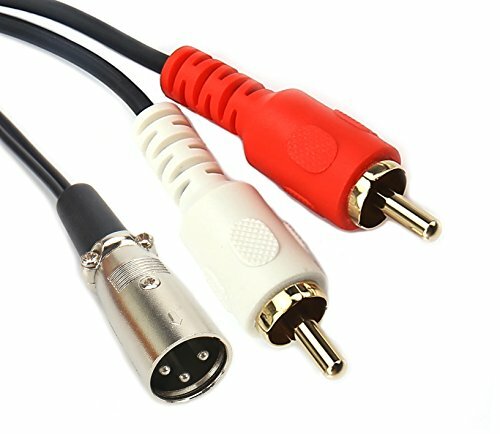 Connecting DJ Controllers to Amplifiers - Converting an XLR cable into a long RCA cable - Integrating Home theater and Pro Audio gear. APPLICATION: Connecting DJ Controllers to Amplifiers; Integrating Home theater and Pro Audio gear; outputs from mixing consoles, microphones, to recorders and amplifiers.